Serena Williams had a powerful message to a tennis legend who she says paved the way for women in sport to be successful today. The seven-time champion continued her strong start to the Australian Open with a 6-2, 6-1 third-round demolition job against Ukrainian teenager Dayana Yastremska. When asked after the victory which former player she had developed a "wonderful bond with over the years", Williams highlighted the efforts of a tennis trailblazer. 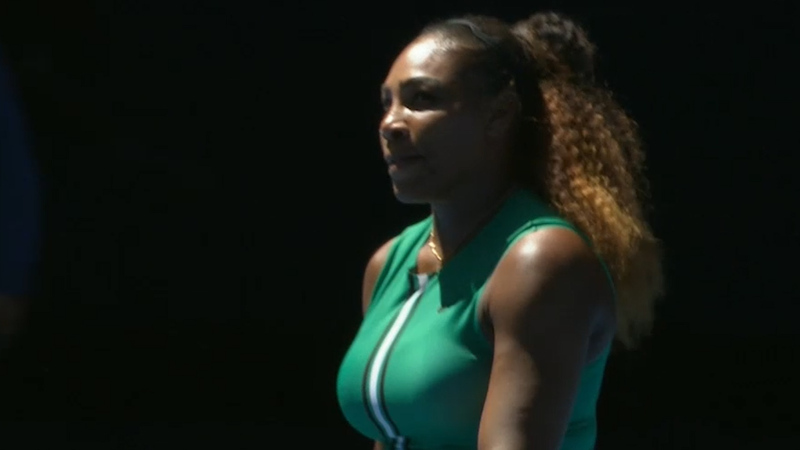 "I feel like all of women's - not only tennis, but sport - really owe everything to Billie Jean King," Williams said, to a huge applause at Rod Laver Arena. "Everything that she's done for us, demanding equal prize money, demanding equal pay, really makes me, not want to focus as to what I do on the court, but what I do off the court. "What can I do to help these young players coming up, how can we continue Billie Jean King's legend. "And to just get to know her on a personal level has been really inspiring." Williams' behaviour following her win over Yastremska perhaps showcased exactly what she is trying to do in honour of King's legacy, by sharing some uplifting words to the teenager after the match. 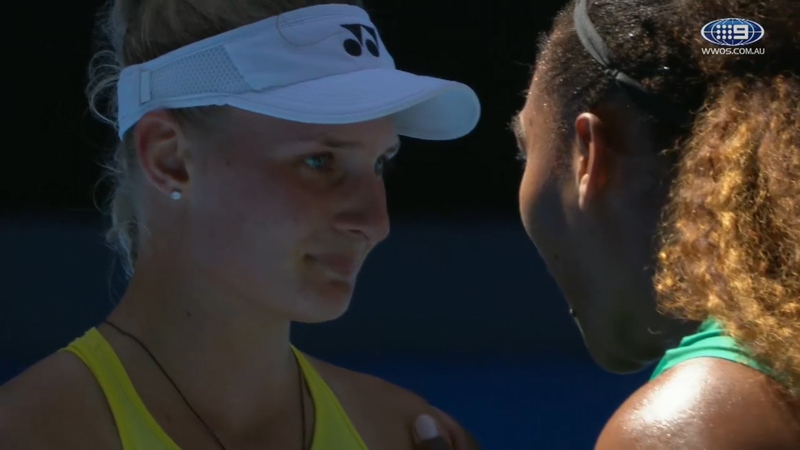 "You were amazing, you did so well," the American told a tearful Yastremska before embracing her. "You were amazing, don't cry. You did really good." Having dropped a miserly nine games in her first three victories against Tatjana Maria, Eugenie Bouchard and Yastremska, Williams will play either older sister Venus or world No.1 Simona Halep in the round of 16 on Monday. "You've just got to play each match as it comes," said Williams, after needing just 67 minutes to end the challenge of Yastremska, who had beaten Australian Samantha Stosur in the opening round. Were she to go on and win the tournament, the 37-year-old Williams would equal legendary Australian Margaret Court's all-time record of 24 women's grand slam titles. Japan's No.4 seed Naomi Osaka, who beat Williams in the controversial final of last year's US Open, had a much tougher time in the third round at Melbourne Park on Saturday before finding a way past Su-Wei Hsieh from Taiwan 5-7, 6-4, 6-1. Her opponent in the round of 16 will be Latvian No.13 seed Anastasija Sevastova, who beat China's Wang Qiang 6-3 6-3. No.6 seed Elina Svitolina from Ukraine came back from a set and 4-1 down to end the challenge of China's Zhang Shuai 4-6 6-4 7-5.Svitolina had a medical time-out and several courtside massages for a shoulder complaint during the marathon match on Rod Laver Arena.